For many years, C.L.H. & Son, Inc., was solely a residential and commercial sitework and utilities contractor in and around our Auburn location. We have since grown our regional and commercial reach, extending well beyond the Auburn area, and continue to pursue these projects alongside our culvert rehabilitation services. 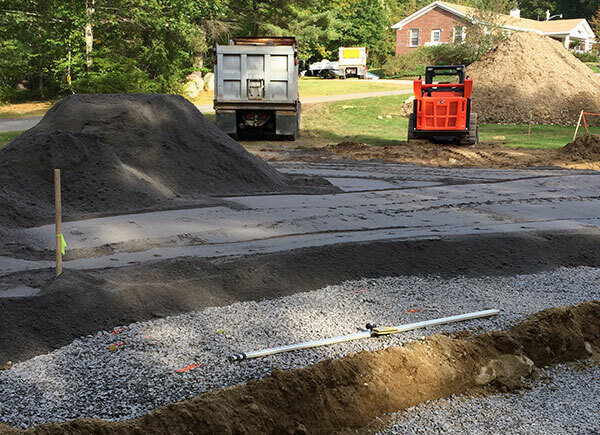 If you have an excavation sitework, utilities, or sewer project, please contact us today for a free estimate. If you are interested in our excavation sitework and utilities services, please contact us today. Given enough time, any pipe or culvert will begin to succumb to the natural forces pressing upon them. These forces will cause the pipe or culvert to squish and bend, resulting in an out-of-round shape. Thankfully we have a piece of equipment capable of ovalizing pipes and culverts, to restore them back to their proper shape. When a pipe or culvert deteriorates, the first instinct is to replace the pipe, but the cost-effective alternative is to slip-line and repair the culvert. With a slip-lining, the pipe is reinforced with a strong industrial material, which extends the pipe or culvert’s longevity. Contact us today for a free quote!